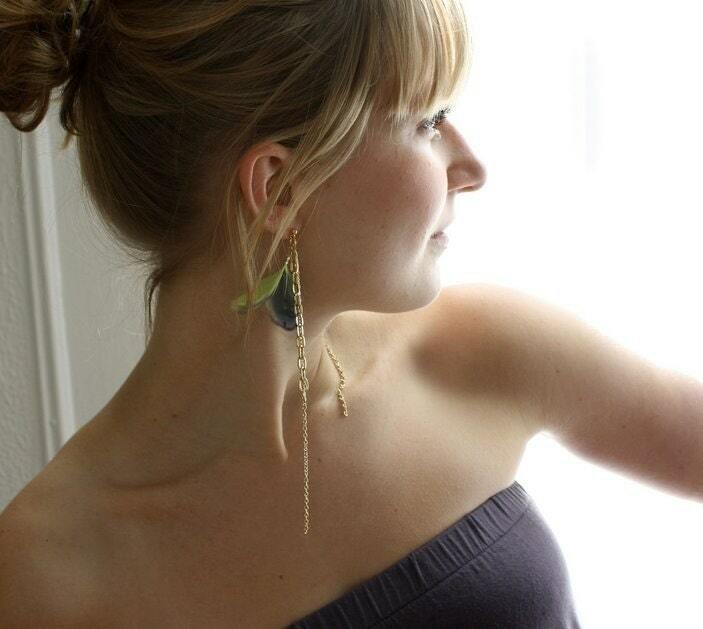 Chapter Two feather earrings are one of my best sellers, perfect for a stylish look. 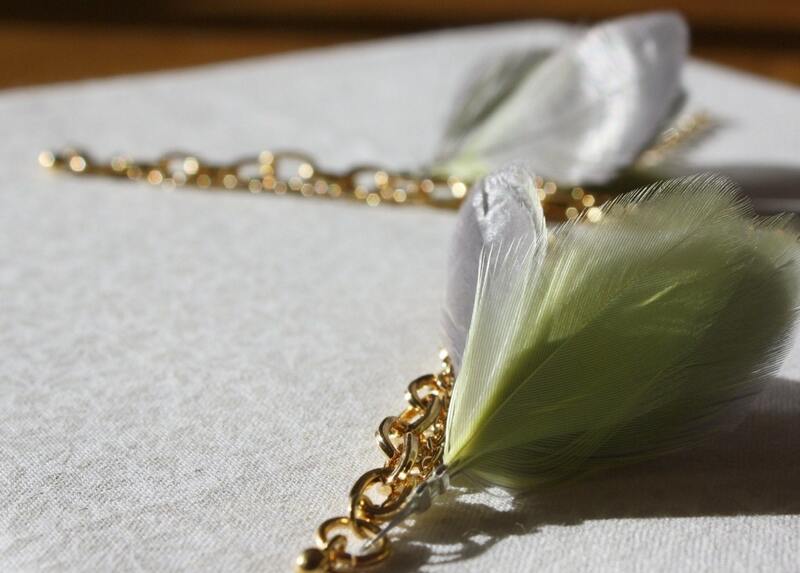 Delicate feather earrings, mixed with chunky gold plated chains. 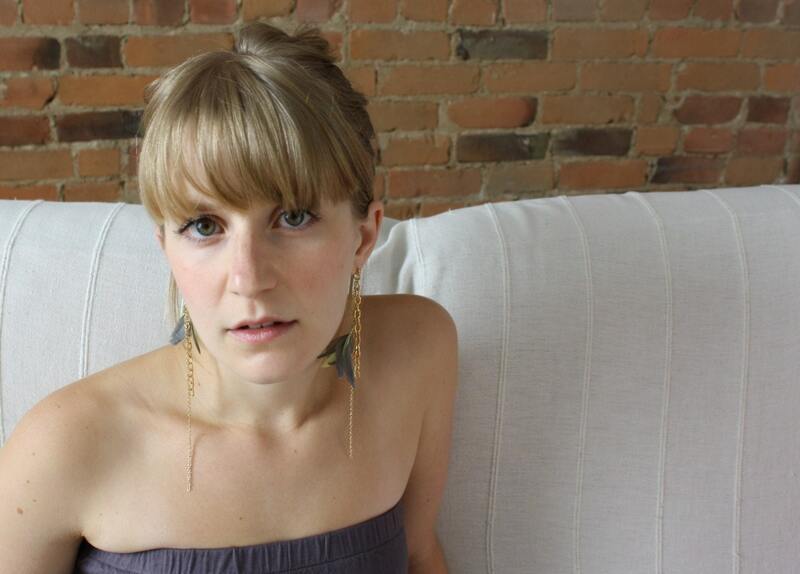 Designed to be worn asymmetrically. Love these earrings! Tons of compliments.